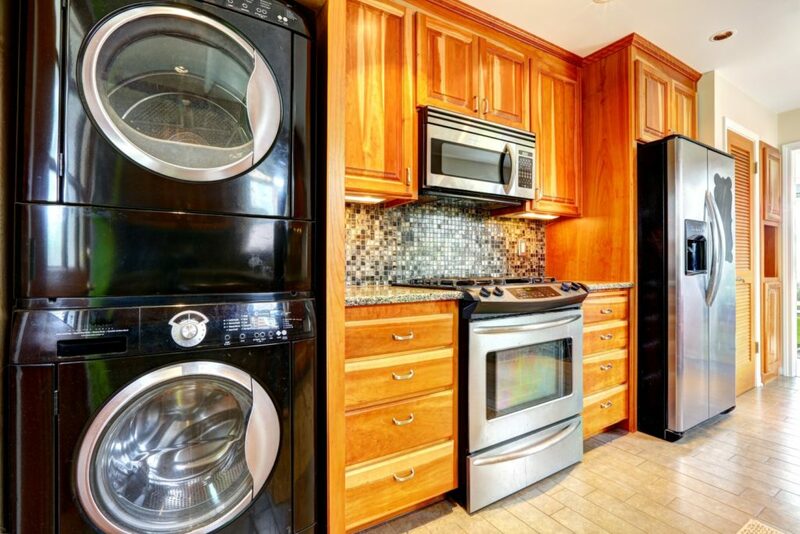 When purchasing a home, it’s not always a first thought to make sure there is a room specifically for the laundry machines. Generally, there will always be a setup in the garage for you to fall back on, but going out to the garage can be very inconvenient for washing clothes. From it being too hot or too cold to just feeling isolated, cleaning your clothes in the garage can be a bit uncomfortable. 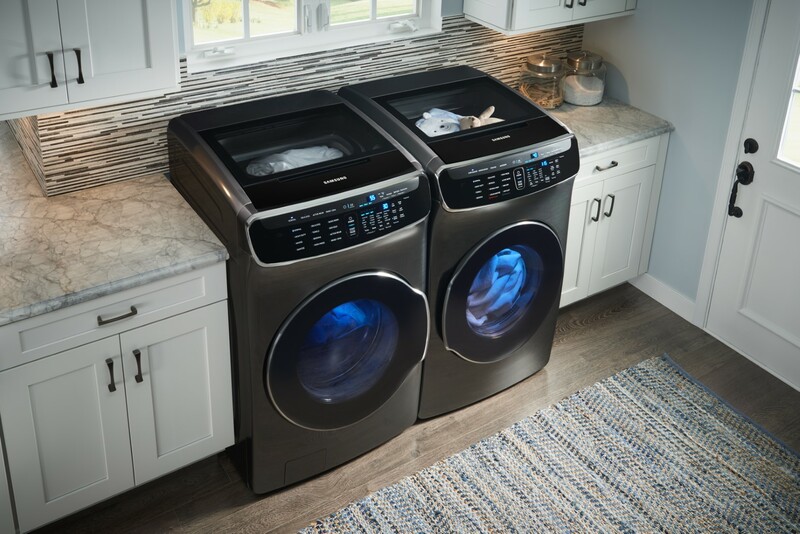 For those of you wanting to get a new Samsung Laundry Pair and place them in a brand new area, here are a few setups that would help maximize your space to the fullest. This laundry pair placement is usually the go-to after the garage. If you have a large hallway closet that can fit two Samsung laundry machines, you should take full advantage of it. Samsung washers come in sizes from 4.3 cu. ft. to 5.0 cu. ft. so you’ll be able to go as compact or as large as you want in order to accommodate your space. This is a fantastic place to put your laundry pair because the closet keeps you in the house, and it usually connects rooms together, making it an easy place to drop off dirty clothes. Store your winter coats and everything else you had previously in your hallway closet somewhere else. It’s just too good of a spot to give up! Not everyone has a mudroom, but if you do, placing your washer and dryer pair in it would be a convenient idea. The mudroom is located near an entryway of the home, making it the perfect place to remove clothes and wash them immediately. It’s a place that is meant specifically for removing your shoes and other dirty garments before tracking the mess they bring into the rest of the house. For example: If you have dirty socks, just take them off and throw them in the wash. If you want a warm jacket before going out in the cold, throw it in the dryer for a couple minutes before leaving. It’s right there allowing you to keep your home immaculate by not tracking in wet, dirty clothes from the rain. I’m sure you’re thinking that adding a laundry duo to a bathroom seems icky. We get it, there’s a toilet in there and having that next to your clean clothes sounds just wrong. But, let’s think about the positives. You’ll be able to throw a load of laundry in on the Super Speed feature, and by the time you’re done getting ready for the day, it’ll be done! Not to mention, you’ll prevent your bathroom from ever getting littered in clothes and towels. You could even warm your towel up by tossing it in the dryer and pulling it out so it’s nice and warm when you’re done. Putting your washer and dryer in the kitchen may seem like a counterintuitive idea, but it’s actually rather functional! 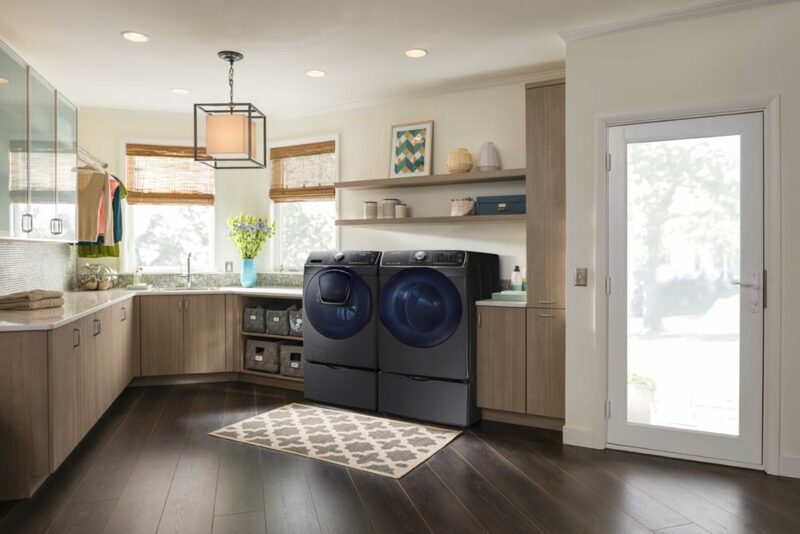 Especially if you have a small space, putting your Samsung Laundry Pair in the kitchen can help keep your home open. pushed back against the wall and out of the way. You could even go with a Samsung compact laundry pair to help increase the space of your kitchen and avoid another crammed room. Not to mention, you could make breakfast for the kids and get some laundry done at the same time! Visit our store to get help figuring out where to put your Samsung washer and dryer. Our experts will be glad to offer their services to make your home exactly the way you’ve always wanted.